The tension in the room was rising. The group had been at it for hours. In fact, this same team of 12 had been through essentially the same discussion on three previous occasions but still couldn’t reach a decision on a critical issue: Should the organization divest their South American operation or shift to a different strategy? They reviewed the pros and cons of both options yet again. Each side paraded their own experts, data and recommendations. And yet they remained at an impasse. What should a team do when it’s tasked with making a decision or recommendation but can’t reach consensus? In our 60+ years of combined experience working with boards and senior executives at organizations ranging from Fortune 10 multinationals to German mittelstand companies, we’ve seen leaders give plenty of thought to the data and analysis needed to kick off and carry on these sorts of discussions. But they typically don’t consider how they’d like to finish them. We’re not suggesting they should know in advance what decision will be made. But they should know how a decision will be made if people can’t agree. In situations where everyone in the room reports to a common manager, and that person is present, there’s not much of an issue. If the team can’t decide, the boss will. But in today’s highly matrixed organizations, closure in the absence of consensus can be an enormous challenge. Team members – even an individual executive – may well have multiple reporting lines. Finding a ‘natural tiebreaker’ – whether one person or another group – may involve decisions bumping up two or even three levels – which is an impractical solution in many cases, and one that risks casting an unfavorable light on the group. We think that’s a bad idea. Your team shouldn’t try to make an important decision unless everybody understands what’s going to happen if its members can’t reach an agreement. 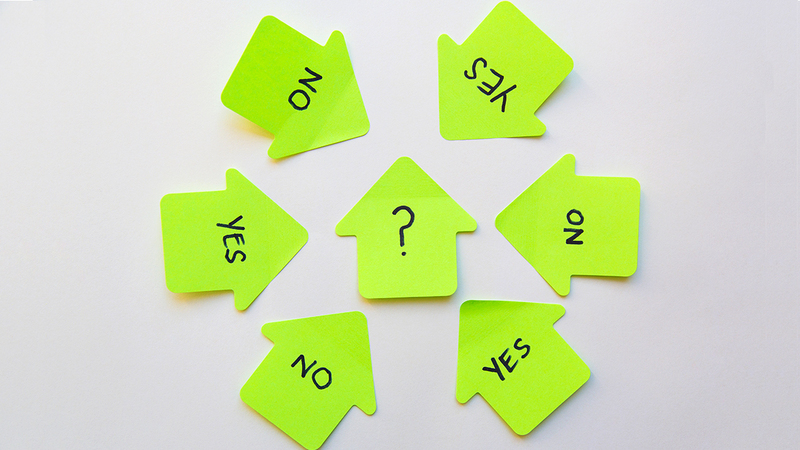 So, before a decision-making meeting starts, be crystal clear about how the decision will be made. For example, tell the group there will be 90 minutes of discussion and if there is no resolution after that time, the issue will be put to a vote. While this may seem obvious, be sure to consider how the results will be used in the room. Does the verdict rest directly on the vote, or is the vote merely advisory for the accountable executive? Most decision-making models (such as RACI or RAPID®) suggest that one person be accountable for making the final call, but if your organization takes a more collaborative approach, you need to clarify what a vote means. If it determines the decision, what is required? A simple majority? A two-thirds vote? Is anyone given veto power? Also consider what happens if the executive or team with final authority isn’t in the room. How should the issue get elevated? Will the vote be enough input? Should majority and minority viewpoints be documented? If so, how? Once you’ve outlined a plan, share it with key stakeholders early so they can ask questions or suggest changes. It doesn’t have to be complicated. In fact, it should be clear and simple so that everyone understands the process. Early in his career Tom Wilson, now Chair, President and CEO of The Allstate Corporation, used to end each major meeting with a simple chart. For each significant decision there were three boxes: “Yes,” “No,” and “Defer.” Under the latter, there was space to indicate the date to which the issue would be deferred and what additional actions or data were required to move to a “Yes” or “No” at that time. This helped drive clarity and closure and made his meetings more efficient and decisive. Teams don’t need to get stuck spinning around a whirlpool of indecision. Meetings just need to start with everyone crystal clear on how they will end.